performance improvement: supporting large organisations to rapidly identify and deliver ambitious financial and operational targets for customer-facing and support functions. Identified and secured management alignment to reduce business-as-usual costs by 15% over two years for an IT function with a $50+ million annual budget. 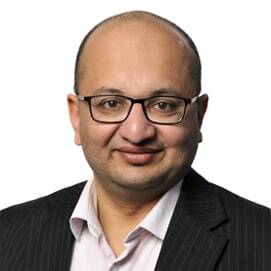 Prior to joining Nous, Sudipto was the general manager strategy at Telstra Consumer and Small Business. He was also previously a principal at Boston Consulting Group, and a partner and co-founder at Dowling Consulting. Sudipto holds a Postgraduate Diploma in Management (equivalent to and recognised as a Master of Business Administration) from the Indian Institute of Management, Bangalore; as well as a Bachelor of Electrical Engineering from Delhi University, India. Sudipto enjoys long road trips, especially to the bush. He is a voracious reader with a special interest in philosophy, science and crime fiction.